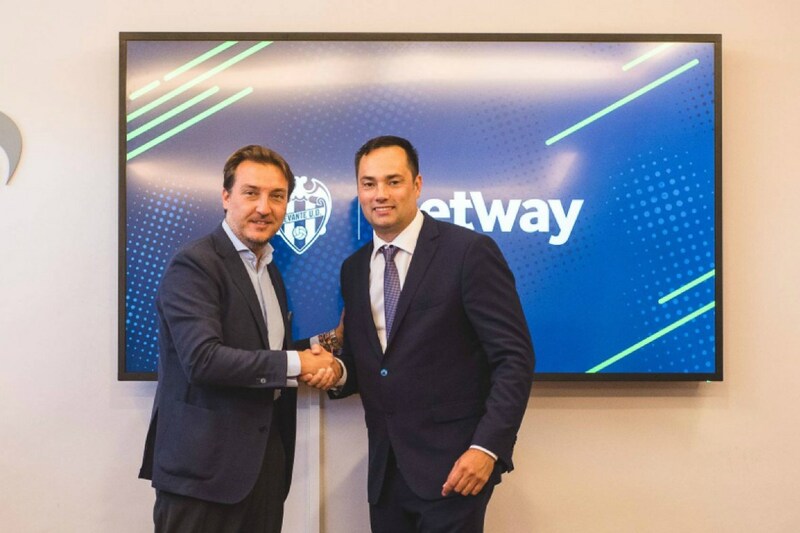 July 4 – European on-line bookmaker Betway has agreed a second Spanish shirt sponsorship deal adding LaLiga’s Levante U.D. to their roster having agreed a deal with C.D. Leganés earlier this year. 100-year old Levante finished 15th in LaLiga last season with the highlight being a 5-4 win over Barcelona. The deal with Betway is for two years. No figure was given fro the value of the deal. Betway’s Anthony Werkman, said: “The season is fast approaching and we are delighted to have agreed a deal with Levante U.D ahead of yet another exciting La Liga campaign. Levante joins English Premier League side West Ham United as a Betway club – a deal signed in 2015. Bundesliga club Werder Bremen and Belgian champions RSC Anderlecht are also Betway betting partners. Launched in 2006, Betway operates across a number of regulated online markets and holds licences in the UK, Malta, Italy, Denmark, Spain, Belgium, Germany and Ireland.